The Scottish Executive announced this week that it is giving both its moral and financial backing to a bid by Glasgow to stage the 2014 Commonwealth Games. If successful, the games will provide an excellent showcase and provide a lasting legacy of sports facilities plus regeneration of the east end of the city as well as investment in new transport links. It will cost more than £200 million to stage the event and Scotland will be competing against cities in Canada, South Africa and Nigeria. Glasgow has staged a number of major sporting events in recent years, including the European Champions League Final, the Special Olympics and the Commonwealth Boxing Championships. Facilities already exist in Glasgow at Hampden Park, the Scottish Exhibition and Concert Centre, Kelvingrove Park, Kelvin Hall, Strathclyde Park, Glasgow Green and other projects are already in the pipeline. But a new Commonwealth Village would need to be built at Dalmarnock and Sighthill. And it is possible that some events could be staged in Edinburgh, including swimming at a revamped Commonwealth Pool and a proposed new velodrome for cycling. After months of speculation, the Royal Bank of Scotland has at last confirmed that it is to invest in the Bank of China. Royal Bank claims that the deal is low-risk, with the company providing $1.6 billion of a total $3.1 billion investment. This will give control of 10% of China's biggest lender. The Royal Bank is planning to sell its stake in Banco Santander, now that the Spanish bank has had to give up its reciprocal investment in the Royal Bank after taking over Abbey National in the UK. That will provide the capital required. The Chinese personal savings market is estimated to be $1.5 trillion and foreign banks are increasingly keen to gain a foothold. The deal will give the Royal Bank "access" to Bank of China's 11,300 branches and will also mean getting a seat on the board of the Bank of China. The British Retail Consortium, representing the major stores across the UK, has reported that high street sales in July were the worst for ten years. Taking out the effect of new store openings, like-for-like sales fell by 1.9% last month. However in Scotland total retail sales bucked that trend and increased by 3.4%. When the contribution of new retail outlets was taken into account, goods had been flying off the shelves in July 8% faster than in the same period a year ago. Non-food sales were particularly impressive, but shops report that they are achieving increases by means of heavy discounting and prolonged summer sales, which will impact on profit margins. But similar discounts in England and Wales were not having the same effect. The Monetary Policy Committee no doubt noted the UK retail sector's difficulties as one of the factors which induced them last week to reduce base interest rates by 0.25% to 4.5%. Until recently, the reports following food hygiene inspectors on restaurants, bars selling food, clubs and fast food take-aways have been kept confidential. But freedom of information act legislation has now made them accessible to the public. While most local government authorities only respond to requests for information, the City of Glasgow is to make all the reports on 5,000 food premises in the city available online. Even if people planning to eat out don't actually check the reports in advance before deciding where to go, the online database should encourage all food outlets in the city to make sure they don't get a bad report. Clydesdale Bank confirmed this week that 18 of their branches are to close in the north-east of Scotland as part of a closure programme involving 60 outlets across the country. Since in many instances Clydesdale is the "last bank in town" it leaves them without a proper bank. Clydesdale management say that customers have access to internet and telephone banking and can make simple deposits and withdrawals at the local Post Office branches (if there is one). Main branches in Inverbervie, Kenmay, Kintore, Laurencekirk, New Deer, Oldmeldrum and Portsoy will all close as well as another eleven sub-offices (currently with restricted opening hours). After the closure programme, the bank will be left with 157 branches, most of them in Scotland. That will mean it will have the smallest branch network by far of the four main Scottish banks. Decades of unhealthy diet have taken their toll of many Scots who have fallen victim to heart attacks, producing one of the worst records for heart disease in the developed world. But efforts to persuade people to adopt a healthier lifestyle - and drugs to reduce blood pressure and cholesterol - appear to be having a beneficial effect. The Scottish health service published figures this week showing that the number of people taken to hospital after a heart attack had fallen 12% in the last five years and victims are more likely to survive too. According to Scottish Executive statistics, premature deaths from heart disease generally have fallen by 38% since 1995. And Scotland now has the shortest waiting times for heart operations in the UK. However, a government health spokesman pointed out that the best way to save even more lives is for Scots to eat more healthily, be more active - and quit smoking. 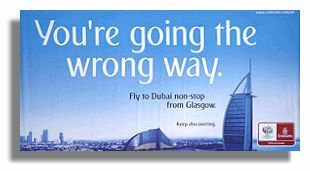 Playing on the long-standing rivalry between Edinburgh and Glasgow airports, Emirates Airways (based in Dubai in the Arabian Gulf) has erected a large billboard on the approach to Edinburgh's air terminal telling intending passengers: "You're going the wrong way." The Middle East airline is aiming to convince Edinburgh passengers that it would be far quicker taking the plane from Glasgow for long-haul flights, due to the network of connections via Dubai. Emirates claim that expensive and time-consuming connections at London Heathrow are now a thing of the past. Starting in October, the carrier is introducing larger capacity Boeing 777 on its Glasgow-Dubai flights, due to increasing demand. This will the biggest plane to land regularly at a Scottish airport. The Scottish Executive has allocated cash from its Route Development Fund to the budget airline Easyjet, to provide the incentive for them to start a daily, year-round service from Edinburgh to Geneva in Switzerland. Located in the heart of Europe, Geneva is also home to a number of research and development establishments. The payments are for the period April 24 to December 21, a period when the route is not served by flyGlobespan. The Route Development Fund supports new air links where airlines can demonstrate the services will have a direct economic benefit to Scotland. The flights must involve regularly scheduled services and must not undermine existing flights. The design of the cap badge for the Royal Regiment of Scotland, which is to be created by the merger of the six existing regiments, was unveiled for the first time this week. 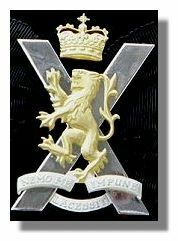 Consisting of a cross of St Andrew, with a lion rampant on top and a crown above, it has the royal motto "Nemo me impune lacessit" (Nobody harms me with impunity - or more colloquially -"Wha' daur meddle wi me?") intertwined on the lower arms of the cross. Those who are opposed to the merger immediately greeted it with roars of disapproval but the army authorities insisted that there had been extensive consultation within the units on what the design should incorporate. It was argued that a single badge was in conflict with statements about the units within the new regiment being able to retain their existing cap badges. 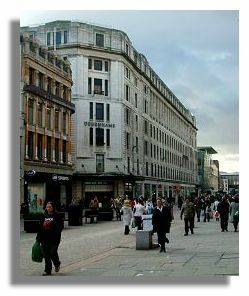 As a result of investment by BT Openzone, the centre of Glasgow is now a Wif-Fi zone. There are now six hotspots within 50-100 metres of key locations in the main shopping and business areas. The Wide Local Area Network is open to the public at the usual rates and allows users 9with the appropriate hardware) to log on to the Internet in random outdoor locations. It will also be used by Glasgow City Council workers to send in information that would otherwise have needed a journey back to their base office. An English-based leisure firm has successfully appealed to the Scottish Executive and won planning approval for an adult gaming centre and tanning studio on Princes Street. The outlet will also accommodate Bingo (Housey-Housey) sessions as part of the entertainment. There will be a wide range of gaming machines in a sandstone building previously occupied by American Express. 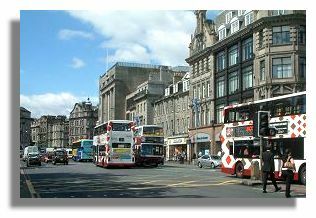 Edinburgh City Council has been trying to raise the tone of the city's premier shopping street, which overlooks Princes Street Gardens and the castle. Council leaders described the decision as a "backward step" for a building which is part of the New Town conservation area and a World Heritage Site. But Princes Street already has "Bargain Books" and "Quid's In" and fast food outlets and "To Let" signs pepper the once proud shopping precinct. As pupils returned to school this week after the summer break, it was a special day for the children at Altnaharra in Sutherland. The school there closed three years ago due to having only one pupil and is the first school in the Highlands to reopen after such a move. Closure had meant that local children had to face a round trip every day of 50 miles over poor roads. In the intervening years, the number of primary school children increased and after a lot of lobbying by local parents, the school authorities have agreed to reopen it for three children. Meanwhile, across Scotland, there were 1,164 vacant teaching posts being advertised in February this year, with 439 of these vacant for more than three months. The education minister Peter Peacock insisted that 2,770 newly-qualified teachers would be entering the classrooms this month - though more teachers will have retired by the end of last term. There was a time when the hammer of riveters was a constant sound on the banks of the river Clyde in Glasgow. For over a century, Clydeside yards built a large proportion of the world's ships. In recent years, many yards have closed and those that remain struggle to obtain orders. 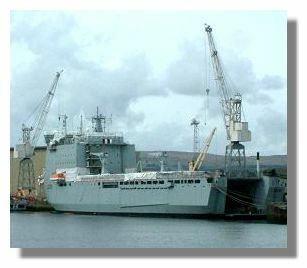 Much of the construction these days is for the Royal Navy and one of the ships currently being fitted out at the BAE Systems yard at Yoker is a Royal Fleet Auxiliary named "Mounts Bay". The ship famously dented her stern as she crashed into the opposite bank of the river when she was launched last year - they don't have as much experience as they used to at launching ships on the narrow river, after all. But local residents have been complaining about the noise from work on the £60 million vessel that continues through the night. The hissing of blast-cleaning preparatory to painting has been keeping them awake and some of them even turned up at the gates of the shipyard in the middle of the night to protest. But it took pressure and publicity from a Glasgow evening newspaper to persuade managers to carry out the work only at "a decent hour". For health and safety reasons the work has to be done when there are few workers on the site, as the operation throws up a lot of debris. A BBC Voices project has concluded that regional dialects are surviving well and that the march of London and BBC English has been halted. The fact that regional accents are now regularly heard on BBC and commercial TV may have helped the process - though such gems as "Dinna fash yersel' " (don't trouble yourself) are not often heard. But the researchers found 240 different ways to say "left-handed" across Britain, 521 different words for friend - and 700 ways of playing truant. Questionnaires were sent to 32,000 people around the UK, asking them about the words they use. From the responses, a word map of Britain has been produced. The word "foonert" for cold was found only in Kilmarnock while "molly-dukered" for left-handed popped up in central Scotland. Other dialect words for left-handed in Scotland included "corrie-dukit" and "Paddy-handed". Almost without saying, the Scots have more words to describe being drunk than any other part of the UK - ranging from "blootered" to "stocious" and "bevvied." For a selection of Scots words, see Parliamo Scots. 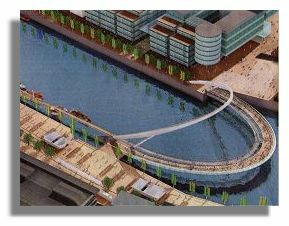 A model of the new curving pedestrian bridge, which is to be built over the river Clyde to connect the financial district in Broomielaw with Tradeston on the south bank, has gone on display in Glasgow City Chambers. The design was chosen after a competition involving six top architects and now the City Council wants Glaswegians to suggest a name. Hopefully, the elegant bridge will get a more appropriate (though accurate) name than the unofficial title of "Squinty Bridge" for another one being built further down the river. It is so named because it crosses the river at an angle. The National Trust for Scotland has embarked on a £200,000 project to eradicate rats from the small island of Canna in the Inner Hebrides, south of Skye, off the west coast of Scotland. But before New Zealand-based Wildlife Management International (WMI) sets 3,500 traps for the rats, a breeding population of about 120 woodmice will be captured and transported to the mainland. Once the rats have been exterminated, the woodmice will be returned to Canna. WMI have already tackled rodents on the Melanesian island of New Caledonia, Mauritius and Lundy in the Bristol Channel as well as goats from the Galapagos Islands and feral cats from the Pitcairns in the Pacific. But on Canna their staff will have to lower themselves by rope down high cliffs to place thousands of plastic traps, baited with warfarin. Though they may not appreciate the experience, the exercise will ultimately benefit the woodmice - a unique genetic strain and bigger than normal. And it is hoped that the population of local breeding birds such as the Manx Shearwater, which has been decimated by the rats, will recover. But the 18 human inhabitants of Canna say that they hardly ever see the rodents. 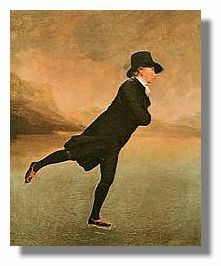 Art experts may be in doubt over who actually painted the portrait of "The Reverend Robert Walker Skating on Duddingston Loch" but the general public are quite sure it is one of their favourites. A poll being run by BBC Radio 4's "Today" programme has the painting gliding into the top ten in the UK. For a long time the painting was attributed to the Edinburgh artist Sir Henry Raeburn. Then the present keeper of the National Portrait Gallery skated on thin ice when he asserted that the work was more likely to have been produced by a Frenchman, Henri-Pierre Danloux. Recently, there was more turmoil when an American historian claimed that the Rev Walker was not only insane but an informer who betrayed British soldiers serving in Ireland because of his sympathy for Irish republicans. While the painting has done well to get into the top ten in the BBC poll, it is facing stiff competition from other works from the National Gallery in London. There was great anticipation in the Scotland cricketing world (which is apparently growing strongly these days) at the impending arrival of the Australian touring cricket team, fresh from the series of Tests against England. Spirits were not dampened by the suggestion that the Australian players were more interested in playing golf than cricket during their visit here. A capacity crowd (well, the ground at the Grange in Edinburgh can only take 4,500 spectators) turned up to watch. But although football and rugby and many other sports can continue when it rains, cricket is one of those games where a few spots of rain sends the players scurrying to the grandstand. The gentle rain continued in the east for much of the day and the match was abandoned. So the showcase opportunity turned into a convivial day where the highlights were an inflatable kangaroo and two Scottish supporters who turned up dressed as Batman and Robin. Attempts were made to drive away the rain with rousing renditions of "A Man's a Man for a' That" and "500 Miles" - not by the Proclaimers but by Caledon, Scotland's own "Three Tenors". Cricket Scotland lost an estimated £80,000 as a result of the cancellation, as well as valuable exposure on national TV. But it is hoped that other international games against Pakistan and Sri Lanka can be arranged for next summer - hopefully they will not bring monsoons with them. There was sunshine and warm weather at the start of the week, with Glasgow reaching 22C (72F) on Sunday and Edinburgh 23C (73F) on Wednesday. Aberdeen and Glasgow enjoyed six hours or more of sunshine on Sunday but after that there was a lot of cloud and later in the week there was some rain, much of it affecting the east of the country. by Friday, Edinburgh was recording a maximum daytime temperature of only 16C (61F) and the only places with any sunshine at all were in the far west such as in Stornoway and the island of Tiree. 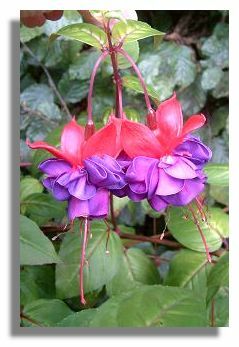 The picture shown here to illustrate the current season in Scotland is of a Fuschia growing in my own garden. For further illustrations, see the "Colour Supplement" below. Regular readers of this Newsletter will be used to seeing more photographs illustrating the current flora and fauna in Scotland. This week, there were again so many photos to choose from a Colour Supplement has been created so as not to overload the main Newsletter. Click on the link and you will open up a new page with a half-dozen or so more illustrations. 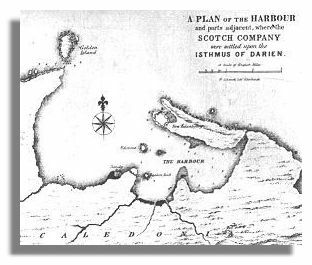 In the late 17th century, Scotland was being kept out of English colonies in America and India and a project was formulated which saw a group of Scots sailing for Darien in Panama to establish an overseas colony. A combination of disease, Spanish attacks and a lack of support from England resulted in the failure of the settlement. 2,000 Scottish settlers died and many wealthy Scots, who had put substantial amounts of capital into the project, were facing ruin. It was this which motivated many of the Scottish aristocracy to support the Act of Union in 1707. 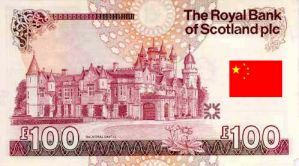 In addition to dissolving the separate Scottish parliament, it provided £400,000 to repay those who had lost money from the disaster. Over 300 years later, the National Archives of Scotland is loaning historic letters to Panama a part of an exhibition on the Darien colony. Three letters written from Darien by a Scottish settler in 1699 are being loaned by the National Archives of Scotland to the International Canal Museum in Panama and will form the centrepiece of their exhibition on the Darien settlement. They are the only surviving letters sent home from the Darien venture. The Keeper of the Records of Scotland says "These letters embody the hopes, the drama and ultimately the heartbreak of the Darien expedition. They are the authentic voice of the past, speaking to us down the centuries." The National Library of Scotland is to preserve hundreds of obscure newspapers produced in Scotland in recent centuries so that articles in the "Piper o' Dundee" and the "Greenock Election Squib" and the "Scottish Prohibition" and another 600 newspaper titles can be stored on nearly 10,000 reels of microfiche. Many of the newspapers had been retrieved from the British Library in London where all books, magazines and newspapers published in the UK are stored. Local newspapers are a major source of interest not just to academics but also to local people interested in investigating life in their area from long ago. Student underwater archaeologists have been taking part in an excavation of a 2,600-year-old Iron Age house under the waters of Loch Tay at Fearnan, Perthshire. The researchers have learned more about the construction techniques used by the ancient "crannog" builders. Crannogs were built on stilts, off-shore, to provide more security and their remains have often survived, preserved in the peaty water. The archaeologists have found wooden pegs, bits of rope made from twisted willow or hazel and the remains of a spatula-shaped cooking utensil. 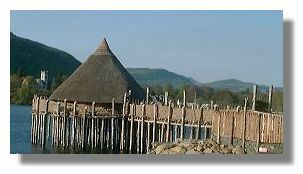 The illustration shows a modern reconstruction of a crannog, on the banks of Loch Tay. August 21 1689 - Battle of Dunkeld when the newly formed Cameronians defended the town against 3,000 Highlanders. August 21 1754 - Birth of William Murdoch who pioneered the use of coal-gas lighting in 1792 in partnership with James Watt and Mathew Boulton. August 21 1937 - Birth of Donald Dewar, former Secretary of State for Scotland and the first First Minister in the new Scottish Parliament. August 22 1138 - Battle of the Standard at Northallerton in which King David I was defeated by the English. August 22 1282 - Devorgilla, Countess of Galloway founded Balliol College, Oxford. She was mother of John Balliol (who acceded to the Scottish throne in 1292). August 22 1582 - James VI abducted and taken to the Castle of Ruthven by the Earls of Mar and Gowrie - the so-called "Ruthven Raid". August 22 1642 - King Charles I raised his standard at Nottingham, initiating a Civil War in England between the Royalists (also known as Cavaliers) and Parliament (Roundheads). August 22 1960 - "Beyond the Fringe", an influential satirical revue, opened in Edinburgh. August 23 1305 - William Wallace executed. August 24 1482 - Berwick on Tweed finally ceded to England (Edward IV) after changing hands 12 times. August 25 1776 - Philosopher David Hume died. August 25 1819 - James Watt, developer of steam power, died. August 25 1819 - Birth in Glasgow of Alan Pinkerton, founder of the Chicago-based detective agency which bears his name. August 25 1930 - Actor Sean Connery born. August 25 1931 - Ramsay MacDonald formed a National Government. August 25 1942 - Prince George, the Duke of Kent, brother of King George VI, killed when his flying boat crashed into Eagle's Rock in Caithness, apparently en route to Iceland. August 26 1875 - Novelist and statesman John Buchan born in Perth. August 27 1784 - First balloon ascent in Britain by James Tytler, Edinburgh. For the last few years the annual "Glasgow Show" has taken place at Victoria Park in the west side of the city. It started off as a flower show with a few extras but over the years the number of additional side-shows have increased - and so have the visitor numbers for the two-day event. It has been described as a cross between a flower show, a cattle show, a circus and a concert. Now it is moving to Glasgow Green, which is nearer the city centre. There will be even more activities to attract the crowds over the weekend of Saturday 20th & Sunday 21st August. In addition to that flower large show, there will be motorcycle display teams, falconry displays, Highland cattle, sheepdogs herding ducks, wall climbing, an army assault course, orienteering, BMX and skateboard courses. Then there is a motor sport zone, a maritime village on the banks of the river Clyde, pipe bands, rag-time bands and a giant inflatable children's play area. Over 400 pipe bands will be parading in Holyrood Park in Edinburgh on Sunday, 21 August in a fundraising spectacular. Players from 26 countries have registered and in the grand finale all the players will line up and advance over 300 abreast, heading towards the Palace of Holyroodhouse. Marie Curie Cancer Care are the official charity of this event and it is hoped to raise a substantial amount of money for this worthy cause. 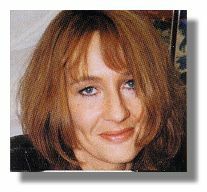 Since her success in launching the Harry Potter books, Scotland seems to have adopted author J K Rowling as "one of oor ain". She lived in Edinburgh while writing the books, has continued to stay here, even buying a Scottish castle near Aberfeldy and marrying a Scottish doctor. Now new genealogical research appears to show that she also has good Scottish blood in her veins, being the great-granddaughter of a pioneering doctor from the island of Arran in the Firth of Clyde. Dugald Campbell travelled extensively and while in Hawaii he raised money to establish a hospital in which islanders could receive free medical treatment. While in London, he had an affair with a young book-keeper and fathered Rowling's grandmother. It is rumoured that Rowling has been to Arran to see Campbell's grave. The members of Stockbridge Pipe Band in Edinburgh are organising fund-raising activities so that they can accept an invitation to play in front of crowds of over a million in the 7th Shanghai International Arts Festival. The band won a competition after sending a 20-minute DVD of the pipers and drummers playing in Princes Street Gardens and on the roof terrace of the National Museum of Scotland. They are the only Scottish act invited to the festival. Lizzie MacGregor, assistant librarian at the Scottish Poetry Library (SPL), has published a book of Scottish poems on a number of subjects and her latest offerings cover two entirely different themes. Handsel is a great selection of Scottish poems celebrating the arrival of a baby or to help in the naming of the new arrival. So whether you have just become a parent or you want to give an appropriate gift to someone who has just had a "bairn", here is a joyous and thoughtful book. Handsel is the Scots word for gift intended to bring good luck, after all! Lament, on the other hand, provides a wonderful selection of poems which give comfort at times of loss and grieving. Most of us find it difficult to express ourselves on such occasions. But just as the lament of bagpipes can provide a musical tribute, this selection shows that poets can more often find the right words to match our feelings at such times. The books are available via Amazon UK - see Rampant Scotland Bookstore. In the First Division, St Johnstone dropped from top place to third, with Dundee and Ross County now ne point above. In the Second Division, newly promoted Gretna share the top spot with Greenock Morton. 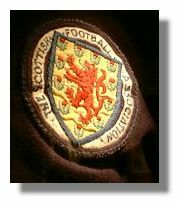 In the friendly international against Austria this week, Scotland seemed to be heading for an away win, something which they produce only rarely. They were two goals up at half-time with goals by Kenny Miller and Garry O'Connor. But a number of substitutions by Austria late in the game, and some sloppy work by Scottish defenders, allowed the home side to grab two goals in the last ten minutes. Final score 2-2. The Scotland soccer team's departure from Glasgow airport to Graz for the international against Austria was delayed for 90 minutes while cabin crew and ground staff struggled to get the team's luggage on board. Even the captain was desperately searching for space - after asking if the team were going to Austria for a month. The team usually charter a slightly larger plane but on this occasion the Boeing 737-500 could not cope with all the team kit plus the luggage of Scottish Football Association officials and the invited media. It wasn't as if the plane was full - only 99 of the 122 seats were occupied. For the third year in a row, Celtic Football Club's losses were higher than the previous year and their overall debt has increased by £3.7 million to £19.5 million. Income fell in the last financial year, the first time that has happened for ten years. Although the club managed to reach the Group stage of the European Champions League, they failed to progress further as they finished bottom of their group and so failed to gain entry to the UEFA Cup. This year, Celtic are already out of both European competitions. 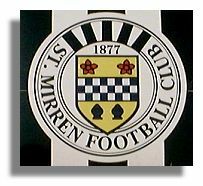 Scottish Executive ministers have given approval to the survival plan of St Mirren Football Club in Paisley which will allow the club to sell their existing ground at Love Street for retail development and build a new stadium at Ferguslie, nearer the outskirts of the town. Without the cash from the sale, there was a distinct danger that the club could go into receivership. Now they hope to have the new facilities - and their bank overdraft wiped out - by the start of the 2006-07 season. Positioned on the south bank of the river Tay in Fife, Ballinbreich estate became the property through marriage of the Leslie family around 1312, although records show that as early as 1160 the land originally belonged to Orm, son of Hugh of Abernethy. The name Ballinbreich is derived from an ancient Celtic name and is a corruption of "Balan-breac", meaning "town of trouts" - most appropriate with the castle overlooking the river Tay with its reputation for fishing. The castle was considerably modified and extended in the 16th century. Mary Queen of Scots, on one of the many tours of her realm, visited the Leslies in 1565. The battle cry of Clan Leslie is "Ballinbreich". Ballinbreich has been allowed to deteriorate and has become an impressive ruin. For an illustrated feature on this castle, see the link above. There are 13 metropolitan areas in Australia with a population of 125,000 or more. Of these, Townsville appears to have the second highest proportion of suburban names with Scottish connections, slightly behind Canberra and a little ahead of Hobart and Melbourne. Of the names of the 60 suburbs in the Townsville-Thuringoa area, 13 (21.7%) can be found in Scotland. Some of the names are used in other parts of the British Isles as well, but most of them (15.0%) are unique to Scotland, are based on Scottish family names or are readily identifiable with places in Scotland that are based on the same names. For all the details, see the link above. Andrew Lang (1844 - 1912) is best known as a collector of folk and fairy tales, but was also a prolific poet and novelist. After obtaining a first class degree at Balliol College, Oxford, he became a fellow of Merton College there. The poem below, about the roulette wheel of life, comes from a book of poetry "Ballades in Blue China" published in 1880. Green earth with her poppies and pansies. The wheel of Dame Fortune's roulette. The wheel of Dame Fortune's roulette! The wheel of Dame Fortune's roulette? The prize that the pleasure enhances? Geordie was taking his driving test and the examiner was giving him the instructions for the emergency stop: "When I tap the dashboard I want you to show me what action you would take if a child ran out in front of the car." A few hundred yards along the road, the examiner tapped the dashboard and Geordie slammed on the brakes, bringing the car to an instant halt. Then he wound down the window and shouted: "Get out of the way you little tyke - do you want to get killed?" Hector noticed that his friend was only wearing one glove and asked "Did you lose the other glove?" His friend replied: "No, I've only managed to find one in the street so far." Jessie gravely told her friend that her husband "had one foot in the grate". Her friend thought about this for a moment and then said "Do you not mean 'one foot in the grave' ". Jessie shook her head. "No, one foot in the grate. He wants to be cremated."